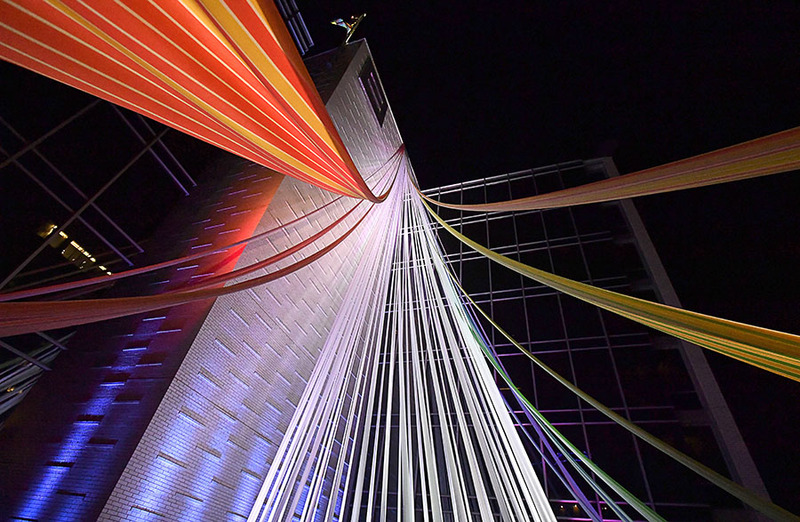 Medium: Flag fabric, trussing, and LED lights. 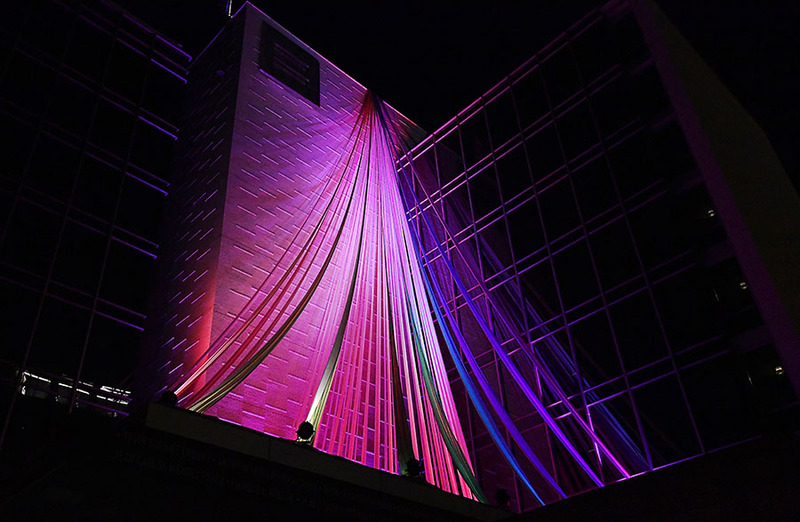 “49” is an ephemeral monument to the victims killed at Pulse Nightclub in Orlando on June 12, 2016. 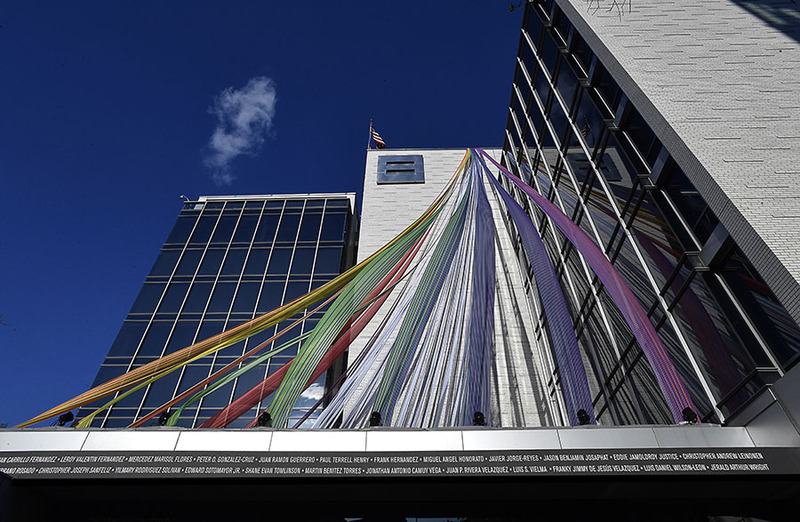 Inspired by the LGBTQ movement’s iconic Pride Flag, the piece is made of custom-printed banner material, and is meant to create a safe space for mourning and healing while simultaneously evoking the diversity, unity, and strength of the community. 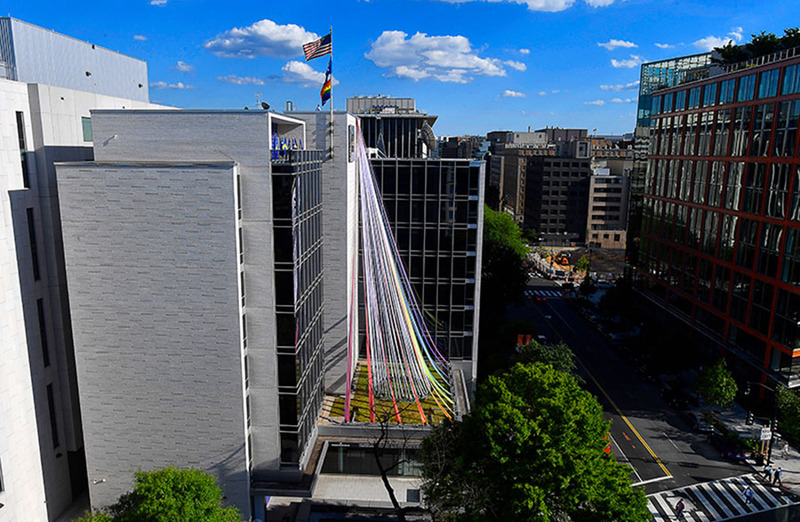 At the center of the artwork are 49 white strips descending from the roof of the Human Rights Campaign’s D.C. headquarters. Each individual strand represents one of the 49 lives that was lost, and together they land in a circular pattern that embodies unity. The 49 are enclosed within a massive rainbow-hued pyramidal form that signifies the LGBTQ community’s strength and protection. Each colorful exterior panel is comprised of a striped pattern that transitions and vacillates between colors. Thin white gaps are placed within the pattern as if individual threads have been removed. This lack of color represents the effect that the attack has had on the fabric of the LGBTQ community over the past year. 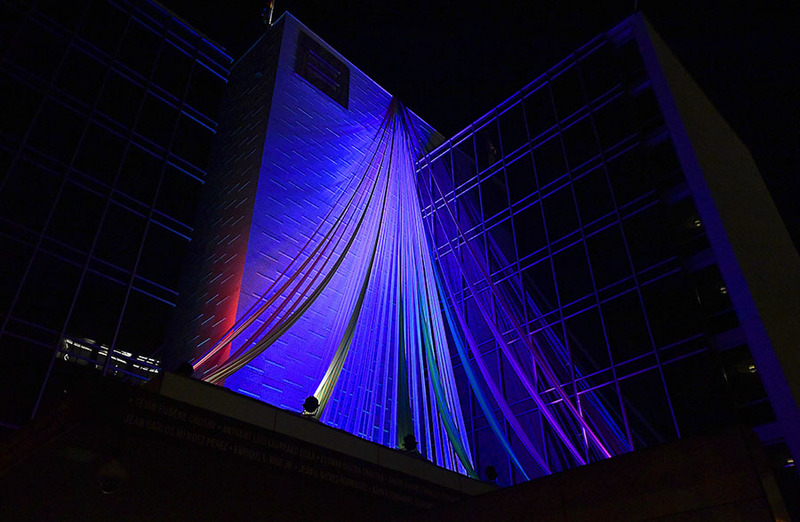 The viewer’s perspective changes as they explore the project, and the artwork transitions from dusk to dawn, aided by integrated lighting. 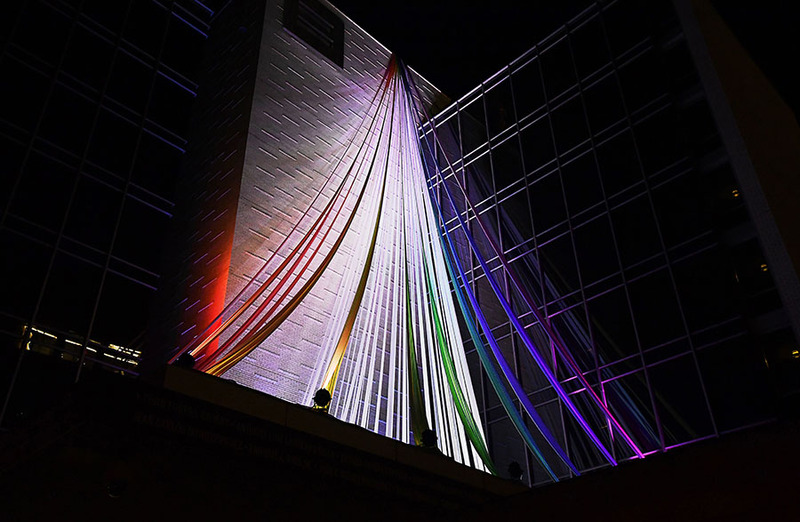 At night, 49 seconds of white light illuminate the central circle of the 49, and then the lighting slowly progresses through the rainbow hued colors of the Pride Flag, ending with 49 seconds of white light before starting again.